Ofsted said: You have aspirations for all your pupils in your relentless pursuit of preparing 'all children to be lifelong learners'. Welcome to Crownfield Infant School website, we have tried to include information about our school; how it operates, what events take place and how we all work together to make our school the warm, welcoming learning environment that it is. 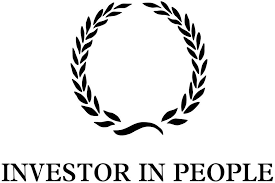 We hope that this website will give you an insight in to our work and values. The website is designed to help you if you are considering Crownfield Infant School as a school for your child, or to be a guide to you if you are already part of our school. You will notice that education at Crownfield is more than core curriculum because we are totally committed to developing the creative, physical, emotional and social side of our children. On this site we can provide only a brief picture of the range of activities we have on offer for our children. We can tell you about the curriculum, our aims, activities and successes but we cannot convey our ethos or atmosphere. We would therefore encourage you to visit our school, preferably during the school day. 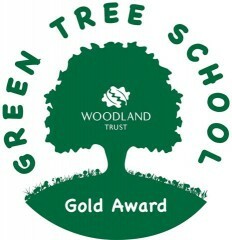 As a school community we are proud of our school and hope this is reflected in this website. Do let us know if you have any comments or suggestions for improvements. You can see either myself or the office staff; Mrs Norton (am) or Mrs Steadman (pm). For your information the dates of the main holidays are on our school calendar for 2019-20. There will be an additional training days which are 22nd , 23rd and 24th July 2019. Family Information Group (FIG) provide a Summer playscheme for children with disabilities aged 5-18 living in Havering. Year 1 went on a trip to Westminster Abbey and had a fantastic time. We all had a guided tour of the Abbey and enjoyed our lunch in the Abbey grounds. All the children also has the opportunity to create their own stained glass window. We have put together a few photos of both day so you see the fun we got up to! This week we saw a fantastic assembly by Class 4. The children showed how much they had learnt through the year so far. Well done Class 4, Mrs Sobrino and Miss Peek. Mrs Jones and I attended the London HLTA of the Year Awards at Leatherhead during the Autumn Term. I had nominated Mrs Jones previously as she has been a fantastic HLTA for our school for 20+ years and she was consequently shortlisted for this event. I am extremely proud to let you know that Mrs Jones WON HLTA of the Year for London and was put forward to the National Finals at Westminster in November, where good work was recognised and celebrated. Well done Mrs Jones. Come and see our fantastic new nursery provision! Crownfield Infant School have expanded our nursery provision now offering additional places to 3 and 4 year old children. We are able to offer both 15 and 30 hours provision. If you would like 30 hours you must check if you are eligible by visiting www.childcarechoices.gov.uk. You will be given a code if you qualify for this funding which you will need to give to the school office. Please call 01708 741826 to put your child's details on our waiting list and you will be contacted once a place becomes available. 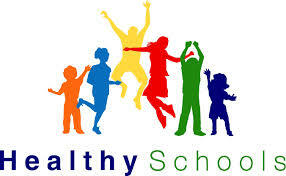 To compare schools in our local area please visit this site. 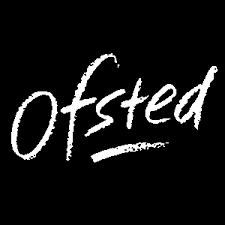 Parent view gives you the chance to tell Ofsted what you think about your childs' school.